The Appear TV 4x8VSB has 4 terrestial tuners that can be enabled as ATSC. The high density allows TV gateways to be specified with choice of IP out or returning to RF via a choice of modulation schemes. 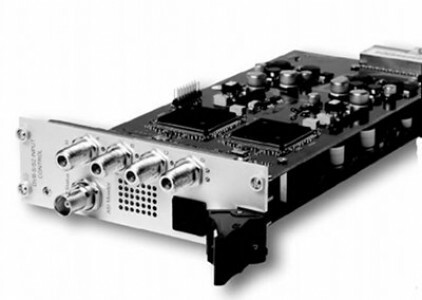 The Appear TV 4x8VSBS is one of a range of input module allowing complex architectures for: IPTV, Cable TV headends,ATSC,DVB-S and DVB-T turnaround or headends. The module can be combined with bulk decryption,MUX and REMUX and then remodulated with a choice of COFDM, QAM, ASI or IPTV outputs. The cards can be installed into either a 6+1 or a 16+2 chassis with single or dual redundant power supplies.